Chanson Française, Jazz/Blues & World Music phonographic editor. Founded in 1986 by François Dacla, former director of RCA in France. 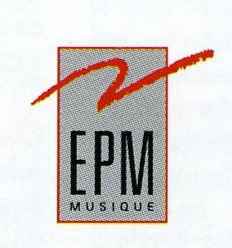 EPM stands for Edition Production Marketing, sometimes referred to as just EPM or E.P.M.